Got this one on a 12-inch auger tail Culprit. I didn't have a tape or scale, and obviously wanted to get her back in the water as quickly as possible. Any guesses on weight? Sorry for the crappy pic scale. As I am sure others have experienced, It taint easy trying to hold a fish in one hand, and snap a pic with the other. "Give a man a fish and feed him for a day... Don’t teach a man to fish…and feed yourself. He’s a grown man. 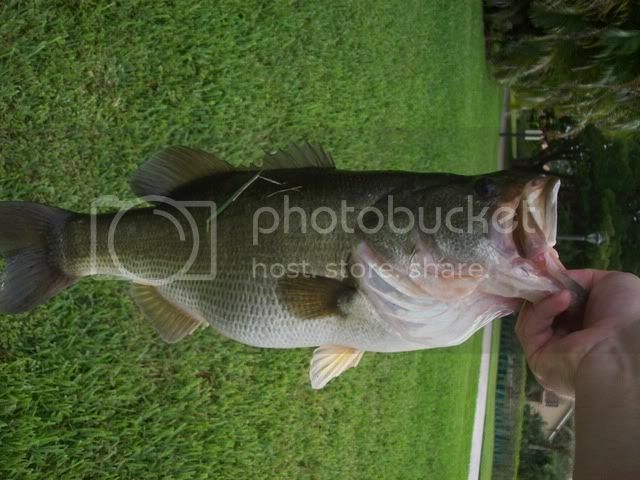 And fishing’s not that hard"
Got this one at a different lake in PGA this morn. I figured I should use me rod for scale. 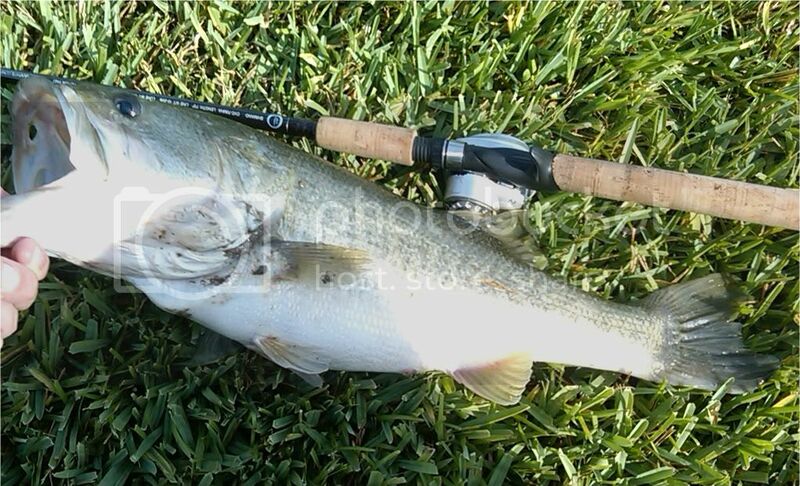 Great fight, pulled drag almost like a saltwater fish. Released in great shape. I thought I was the only person who fishes PGA. I never see anyone. Here are some I caught by Patio Homes. The small pond across the road from where you are standing has big fish. Try it out. I fish both lakes, and have caught big fish in both. An 8 foot water lizard scared the **** out of me the other day when I unknowingly walked up on him sunbathing on the bank. He then belly flopped into the water creating a huge wake and ending my fishing opportunities that morning. [SIGPIC][/SIGPIC]Don't mess with my truck!! ok this might be a dumb question, but whats PGA stand for? besides the league tiger plays in. It's a golf community in Palm Beach Gardens. Has many lakes with good fishing. Was or is the home of The Professional Golfer's Association of America. We did the add on to their building back twenty years or so.